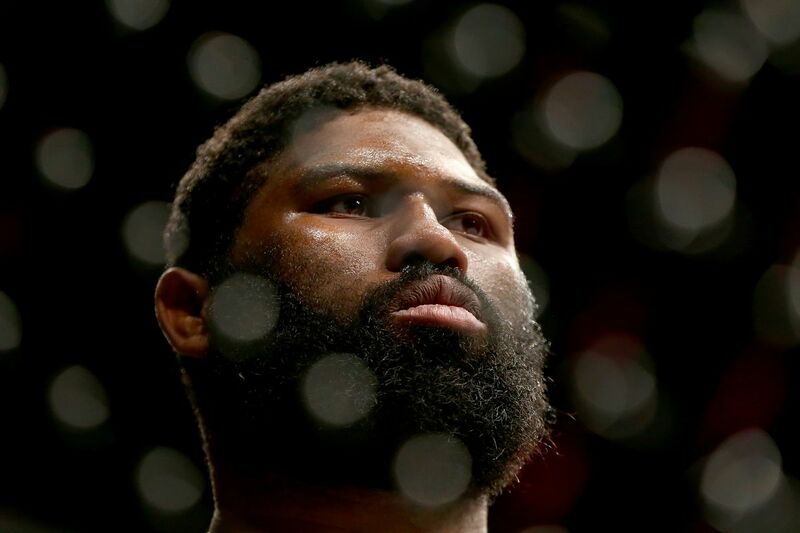 There’s plenty on the line for top heavyweight contender Curtis Blaydes when he faces Francis Ngannou in a rematch from the fight in which he made his UFC debut. Blaydes suffered his first and only (to date) loss against Ngannou and it came by doctor stoppage. Now that time has passed and Blaydes has grown as a fighter, he’s found himself at the top of the heavyweight rankings, but has been passed up on a title shot due to big money fights and Daniel Cormier’s close retirement. While the UFC has said that Brock Lesnar would be the next challenger for Cormier’s heavyweight title, there has been some doubt that the fight could actually be made. Many would think that if Lesnar did not get the fight, Blaydes would be up for contention in a title fight, but instead a rematch with Stipe Miocic or Jon Jones has been discussed more than a guy who has earned his way to the top. Having to settle for Ngannou isn’t a bad thing for Blaydes, he’s got an opportunity to avenge his only loss and make a statement that no matter what money fights the promotion is chasing, he deserves a heavyweight title shot. Blaydes isn’t the only one who believes he’s on the verge of a title shot as the current champion “D.C.” has said he believes Blaydes is on the “cusp” of a title fight and could get there with a win over Ngannou. During his preview of the fight on the UFC’s YouTube page, Cormier had plenty to say about Blaydes’ growth as a fighter and where he’s made the most improvements. Curtis Blaydes is a new guy, this is a big, strong, durable wrestler who is now gaining confidence in his hands. What I’ve seen from Curtis Blaydes is constant evolution and a guy who is on the cusp of fighting for a UFC championship. Despite his derailing hype train, Francis Ngannou is not to be taken lightly and it would be foolish to think that Blaydes is sleeping on his opponent. The main event on Saturday is a chance for one fighter to cement himself as a title contender while another looks to prove that he is still a dangerous and powerful knockout artist.